The FDA released a white paper further detailing its plans to implement artificial intelligence in medical devices. 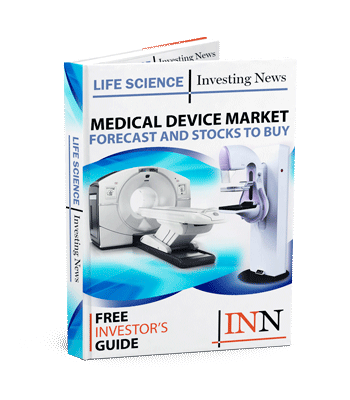 US Food and Drug Administration (FDA) Commissioner Scott Gottlieb issued a statement on Tuesday (April 2) on how the agency is moving towards a regulatory framework for the use of artificial intelligence (AI) in medical devices. In the statement, Gottlieb said that the use of AI and machine-learning software is helping to advance innovation and the creation of “novel medical devices” in addition to transforming healthcare as a whole. “As technology and science advance, we can expect to see earlier disease detection, more accurate diagnosis, more targeted therapies and significant improvements in personalized medicine,” the statement reads. Gottlieb added that AI could help detect and treat difficult diseases by recognizing the initial signs much earlier than the methods used currently. Accompanying the FDA’s statement on Tuesday was a white paper detailing how the agency will regulate AI in medical devices, including the review process before AI-driven medical devices are approved. “A new approach to these technologies would address the need for the algorithms to learn and adapt when used in the real world. It would be a more tailored fit than our existing regulatory paradigm for software as a medical device,” the FDA statement explains. The white paper says that manufacturers will be required to submit a market application to the agency before a medical device is first released with submission type and data requirements based on the risk of the device. Should a device require any changes after being cleared under a 510(k) notification, the agency’s Center for Division and Radiological Health also has an outline called “Deciding When to Submit a 510(k) for a Software Change to an Existing Device,” which details a risk-based approach when it comes to deciding whether or not a premarket submission is needed. In short, the agency has a variety of outcomes in terms of the framework, including: making sure that algorithm changes are in line with pre-specified performance objectives and change control plans, and having a specified way of validating devices to ensure performance improvements, safety and effectiveness of the AI-based software and real-world performance monitoring when devices are available on the market. “We’re exploring this approach because we believe that it will enable beneficial and innovative [AI] software to come to market while still ensuring the device’s benefits continue to outweigh its risks,” the statement reads. Although these are the FDA’s first steps in putting together a framework for the use of AI in medical devices, it is not the first time the agency has acknowledged AI’s promise in the healthcare sector. Last April, the FDA revealed how it is “transforming” its approach to digital health, including its AI outlook. “AI holds enormous promise for the future of medicine, and we’re actively developing a new regulatory framework to promote innovation in this space and support the use of AI-based technologies,” the statement reads. The FDA also approved in April 2018 an AI-based device to detect specific diabetes-related eye problems called IDx-DR. The device has been granted breakthrough designation by the agency, which means the creator will receive close guidance from the FDA on the device’s development, expediting evidence generation and the device’s review by the FDA. To qualify for breakthrough designation, a device must provide more effective treatment or diagnosis for serious or debilitating diseases and should be a breakthrough technology. There should also be no other device alternatives and the device should be in the “best interest” of patients. Overall, the value of AI in the healthcare industry is projected to reach US$36.1 billion by 2025, growing at a staggering compound annual growth rate of 50.2 percent between the forecast period of 2018 to 2025, according a report from Markets and Markets. A number of public companies are disrupting the space, including NVIDIA (NASDAQ:NVDA), IBM (NYSE:IBM), Microsoft (NASDAQ:MSFT) and Medtronic (NYSE:MDT). With the FDA officially moving forward with a framework for the use of AI in medical devices, there’s never been a more exciting time for investors in both spaces.